When Kenya faced an insurgency problem in the 1960s, it tormented a people into submission. When it faced another in the 21st century, it secretly recruited their children to fight its war. The plan failed miserably, bringing Kenya to war with itself. As the flowers begin to wilt on the graves of the (more than) 147 people who were killed in the Garissa University attack, it is essential for Kenyans to reflect on the journey that brought us here. The journey has been one of many mistakes, most of which could have been avoided. In fact, one might argue that each mistake we have made in the state relationship to Kenyan Somalis has lead us to where we are today. The story of how the Northern Frontier District came to be a part of colonial Kenya, and independent Kenya, is intriguing, if not sadistic. Borders were arbitrarily drawn on the map of Eastern Africa, cutting through communities and clans. Boardroom deals with Ethiopia and Italy further divided the Somali people, with the British governing their part from Kenya. A few years before independence, the British canvassed the NFD in an informal referendum. The question was simple yet powerful, as it would chart the destiny of the Somali people on the Kenyan side of the border. An overwhelming majority rightly knew they were doomed if they stayed in Kenya, and they voted to join the Greater Somali Republic. Somalia would be a large state incorporating all areas that had a majority Somali population, including Djibouti and Ogaden in Ethiopia. Kenya’s founding fathers, however, made it clear that they would not cede an inch of soil to anyone. 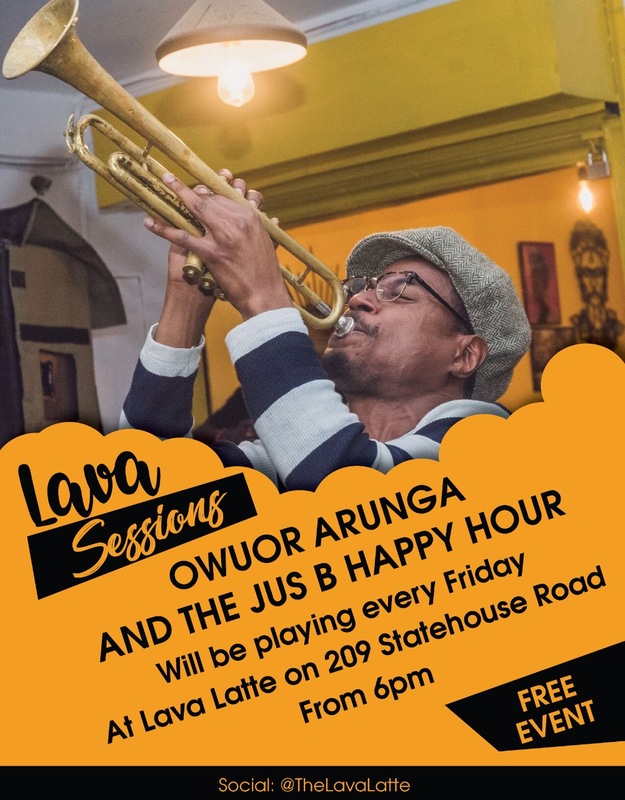 Anecdotal evidence suggests the British prevailed upon Kenyatta to consider the idea but he rubbished it, to them and to the government of Somalia. Instead of a peaceful transition for Somalia and Kenya, Britain’s ignorance on the impact of its lethargy was the start of a decade of mayhem. Contrary to common history, the Shifta War was a?term only right in one aspect, that it was a war. There were no ‘shiftas’, which means bandit, but revolutions. The Somali people of the NFD united behind a group called the Northern Province Progressive Peoples Party (NPPPP). The ragtag militia eventually grew into a full revolution, calling for unity with the Somali republic. The Somali people had been marginalized by the colonial government, especially after World War II. The NPPPP received military and financial assistance from the Somali government, who were in turned trained and funded by the Soviet Union. Winning the war thus became paramount for Kenya as a capitalist state and a friend of Western powers. The NPPPP’s military wing was known as the Northern Frontier District Liberation Army (NFDLA). It had battalions of 1, 000 armed men deployed in smaller units of about 30 soldiers. Until 1965, their armory mostly featured old European arms such as rifles and grenade launchers. With Somalias support, the strategy changed to employing mine warfare. The shift allowed the NFDLA to extend beyond Wajir, Mandera and Garissa. If the idea of annexing Northern Kenya was an embarrassment for KANU, the idea that the revolutionary war would ever be branded as such was even worse. The government immediately launched a military and a propaganda campaign. KANU drew its lessons from how the British had handled the Mau Mau insurgency. They had everything, including genocides and concentration camps, down to an art. Where the British branded the Kenya Land and Freedom Army (KLFA) the less-nationalistic sounding Mau Mau, the independence Kenya government branded the NPPPP the Shiftas. Where the colonialists herded the Kikuyu into concentration camps and reserve areas, the Kenyatta government perfected the model and made the NFD a controlled zone. The atrocities were even embedded in the constitution, allowing the president a direct authority and oversight over the troublesome region. The Kenya military was allowed a free hand in Northern Kenya. In the course of battling the secessionist body, it also encountered real bandits who would often be found with bows and poison arrows. The shiftas actually existed, but they were only a sentence or two in the whole story, had it been told truthfully. Part of the systematic goal of the war was to curb pastoralism to make the Somali people easier to govern. Innocent civilians were herded into concentration camps branded as villages. Inside such camps, in places such as Garbatulla, the torture and massacres continued unabated. ?The previously oppressed had turned oppressor. The agreement to end hostilities between Nairobi and Mogadishu effectively cut off the lifeline for the NPPPP and allowed the Kenyan military to vanquish its central structure. Kenyans of Somali ethnicity who escaped the fighting by crossing into Somalia found it impossible to get back in. This created secondary and tertiary problems for Kenya that would eventually bubble into an insecure border. The counter-insurgency efforts effectively decimated the informal Somali economy. An unknown number of heads of cattle were killed or confiscated by the Kenya military. From Isiolo alone, more than 15, 000 heads of cattle were confiscated or killed. Such devastation made an entire population desperate, and most of them shifted to other economic activities such as business. But the attempt to create Kenyans failed miserably. Although the experiment reduced the population of pastoralists and established the authority of the Kenya government in the district, it spelled doom for the son of the man who led Kenya during the Shifta War. It also meant that Kenyans of Somali origin would never feel as patriotic or enthusiastic about their country as their neighbors. That the NFD always voted for the government of the day was wrongly read as their acceptance of the political powers in Nairobi, and not as an indication of the collective trauma that ruled the region. 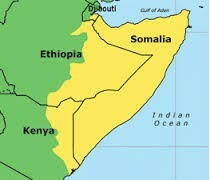 The State collapse of the Somalia government also meant that there was little hope for an option for the Somali people. Even with that, however, the Kenyan state that had been fighting to keep them within its borders continued killing them. ?While the rest of the country moved on, the NFD became stuck in time. Although the guns of the NFDLA died out in the 1970s, the instances of state-sponsored violence continued. There was a shoot-to-kill policy in the region in the 1980s, the same period when Wagalla and the Garissa massacres occurred. The 1980 massacre started as an effort to flush out a local criminal called Abdi Madobe, and ended with the deaths of hundreds of ethnic Somalis. In 1989, there was a nationwide screening of Somalis living within Kenya. The period of relative peace in the late 1990s and early 2000s coincides with the time when Mohammoud Saleh was the provincial commissioner of the NFD. A Kenyan-Somali himself, Saleh tried to refocus the fractured relationship between the Kenyan government and the inhabitants of the NFD. He was said to have zero tolerance towards abuse by security forces, although anecdotal evidence suggests he suffered stigma under unknowing security forces who frequently stopped him when he was in plain clothes. In 1991, the Somali government effectively collapsed, leaving social units with the mandate of finding ways to govern themselves. A system of Islamic courts filled the judicial gap and grew to other roles such as policing, healthcare and education. In the first decade, most of them worked alone with no system of collaboration. This changed in 1999 when they decided to work together. They formed an armed militia that immediately started fighting for control of Mogadishu. The ICU was funded by the Eritrean government and Ethiopian insurgency groups, making it an enemy of Ethiopia. In the next half a decade, the ICU grew I power and control, especially in areas around Mogadishu. Its military wing decimated warlords who had previously controlled the country. It was a time of peace and prosperity in Somalia, albeit short-lived. The Mogadishu airport and the seaport were reopened and the economy began to recover. Having a Sharia-based largely informal government in Eastern Africa made Kenya and Ethiopia jittery. ?At the end of 2006, Ethiopia-funded transitional government forces began attacking the ICU. By the end of 2007, the courts union was no more, mainly due to infighting and resignations that weakened its response to the concerted effort to remove it from power. Its military wing, Al Shabaab, whose full name is Harakat al-Shabaab al-Mujahidin, did not die off with the death of the ICU. Instead, it moved in fast to fill in the gap, transforming itself to one of the most formidable powers in Somalia. It eventually controlled a significant part of inhabited Somalia, and it tried to transform itself into a national power. Uganda intervened, as did Kenya, uprooting Shabaab from all its lifelines. The group fled to the background and became an insurgency. It would export terror once Kenya and Uganda established themselves as invading armies in Somalia. According to?this article?Kenya’s?actual reaction to the Somali situation began years before the 2011 invasion. It was a foolhardy plan, and it would eventually bring a war that was not Kenya’s right into its borders. In an attempt to shield her borders from attacks, Kenya turned to what looked like a brilliant plan by a former Al Shaabab leader, Ras Kamboni warlord Sheikh Ahmed Madobe. The plan was to form an autonomous Jubaland on the Somalia side of the border to act as a buffer zone for Kenya. A small force of Somalis would be trained by Kenyan forces to help the transitional government bolster its position. It was a terrible plan, and Kenyas security partners told its official as much. Kenya went ahead to recruit and train 4, 000 Kenyans of Somali origin, contrary to reports that they were Somali nationals. Half of the recruits were sent to camps at Archers Post and Manyani. They were promised jobs and money, and a destiny in Jubaland. They were then transferred to Somalia and as the clan infighting killed off the plan, most disappeared with their weapons and training. Many of them ended up in Al Shabaab. During the April 2nd 2015 dawn attack, the attackers used what they called Kenyan weaponry. One was revealed to have been a Kenyan-Somali from Mandera, one of the areas where the Kibaki government had recruited young men for its secret mission in Somalia. Although it is unlikely he was one of those trained at Archers Post or Manyani, it is likely he has links to those who were. The exact number of Kenyan-Somalis who underwent training and then ended up in Al Shabaab’s ranks is unknown, at least publicly, and the Kenya government is unlikely to reclassify the war against the terror group as an internal insurgency. If indeed they are now fighting clan wars in the North East, against other clans and other tribes/people, then Kenya is actually at war with itself. It is not fighting an outside enemy as we would like to believe, but one we created and armed. How genius that would be, a story come full circle. While the government has continually portrayed the war as a war against illegal immigrants, and recently refugees, the real enemy are actually disillusioned Kenyans of Somali ethnicity. Born in a tormented land where their parents were traumatized and subdued, they were then given hope of finally doing something for the motherland. Whether Kenyas officials actually knew the risks involved is another story, and one they are unlikely to be honest about because it would make them culpable. The newest genius plan seems to be the construction of a border barrier on the border with Somalia. The border barrier, the government hopes, will solve the problem once and for all. The Daadab camp, the largest of its kind in the world, should be closed within the next year if the UN heeds Kenyas demands. These efforts assume the enemy is a Somali national and not a person who has a valid Kenyan ID card. It is always easier to demonize outsiders than our own kin. The level of ethnic profiling that goes on every time there is an attack, whether in Garissa or in South C or Eastleigh, is built on this security paradigm. It is a rather interesting way to look at it; that it is outsiders who spoil citizens. The success of the propaganda that branded the secession problem a mere bandit problem lives on to this day, with many non-Somali Kenyans viewing their Somali neighbors as refugees, even when they have lived and worked with them for generations. Kenyans of Somali origin learnt to see themselves as third-class citizens, tucked right before their relatives across the border. The truth is that Kenya will never know peace until the North Eastern region it annexed is peaceful and thriving socially and economically. That peace will not come from police crackdowns and ethnic profiling. Fighting the Al Shabaab should stop being about fighting the Somali people, because profiling is not the solution. Neither is a border barrier or a closed refugee camp. Both ideas are as terrible as the idea of training Kenyan-Somalis to fight in Somalia. It will only furnish Al Shabaab and ISIS with new recruits. Those recruits will help the two groups stay in the fight for longer, with the hope of eventually creating a caliphate that stretches from Eastern Europe to Kenya. Al Shabaab maybe an Al Qaeda affiliate for now, but it is only a matter of time before ISIS is rooted from the lands its holds and follows the Al Shabaab story of extremist government to terror group. 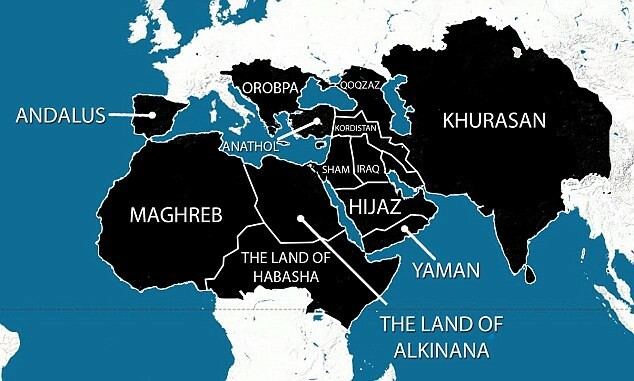 ISIS has a five year plan to expand its borders. Sourced from the Daily Mail. Uganda was hit by a terror attack in July 2010 and since then, has implemented security strategies that kill off Al Shabaab’s plans before they are even complete. Perhaps it helps that Uganda’s history is bloody, and it has learnt the value of adapting to win during wartime. It also doesn’t have a Shifta War in its history, or an entire region that has systematically been tortured so much that it knows nothing but guns and war. The greatest lesson, however, seems to be that Uganda learns and protects its citizens. Kenya seems immune to such lessons. The paradigm seems to be maybe it will work if we keep hammering at this one nail. The real battle is not in Kismayu or Mogadishu, it is right within Kenya’s borders, and it cannot be won with guns and armored tanks, or even random searches. Al Shabaab is rooting itself in Kenya not because it is a ruthlessly efficient terror group, but that Kenya as an ecosystem seems hell-bent on destroying itself.